The further you walk, the more markers you will see – and they are located on both sides of the street. Each marker lists a date and a person or group of people. But why are they here? The answer is actually located above, on the street corner signs along this path. The stretch of Broadway from the tip of Manhattan, known as the Battery, to City Hall is known as the Canyon of Heroes. But what qualifies someone to be included in the Canyon of Heroes, you might ask? All someone needs to do is be the guest of honor at one of New York City’s ticker tape parades. One of the earliest parades along this route was on October 28, 1886, celebrating the dedication of the Statue of Liberty, but ticker tape parades really got their start when American troops began returning home after World War I. In all, there have been more than 200 ticker tape parades, and every one has been commemorated with a granite marker. Approximately 130 of those took place during a 20-year period between 1945 and 1965. During that time period, heads of state of many countries were honored with parades. It’s interesting to see some of the names of those heads of state today. Although they were known as allies of the United States, some of these heads of state had mixed records when it came to democratic government or human rights issues. The markers show a wide range of international leaders from all over the world. Here are just a few of the markers for heads of state. There are many other markers as well, commemorating milestones in terrestrial and outer space exploration, sports figures and teams, famous cultural figures, and more. Here are some additional examples of some of those markers. Interested in learning more about the ticker tapes parades commemorated in the Canyon of Heroes? This website has more information about them, as well as several historical parade photos and even a podcast. Update to this post (1/14/2018): One of the most controversial markers on the Canyon of Heroes route is this one for Marshal Petain of France. Petain received his ticker tape parade in 1931 because of his reputation as a hero of World War I, but that reputation was tarnished by his role as a Nazi collaborator during World War II. In recent months, the mayor of New York City had a commission consider whether some controversial markers and monuments across the city should be removed; this marker was one of those under consideration. Ultimately, the commission determined that the marker should not be removed (or any of the other markers on the route), but that signs should be posted to add context for the controversial names on the route and the signs labeling the route “Canyon of Heroes” (see the second photo above) be removed. Interested in reading the Commission’s full report on this and other controversial monuments? You can find it here. It’s been said that New York City has the largest Puerto Rican population outside of Puerto Rico, and Puerto Ricans certainly are significant part of New York City’s cultural diversity and its residents. In fact, in the 2010 U.S. Census almost 9 percent of New York City’s population was Puerto Rican, and the numbers have continued to grow in the past several years. 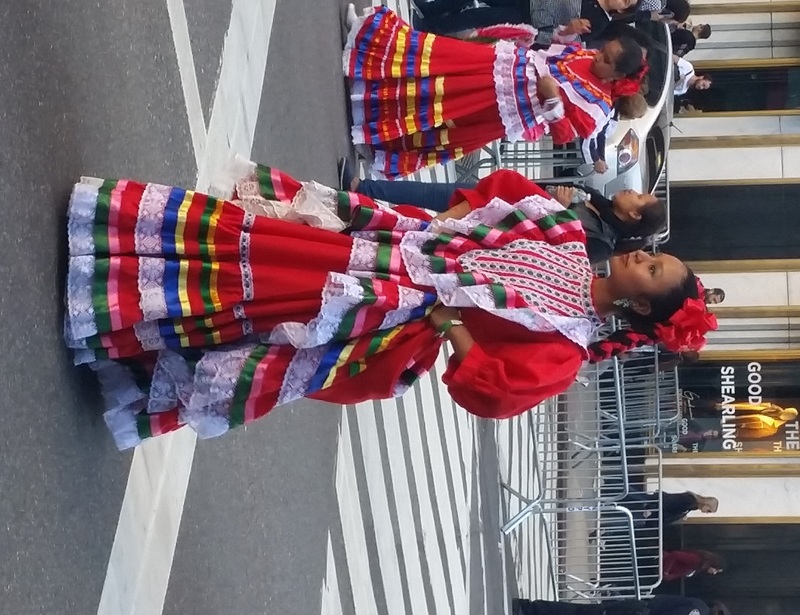 In celebration of New York City’s Puerto Rican residents, the city hosted the 59th annual National Puerto Rican Day Parade on June 12, 2016. 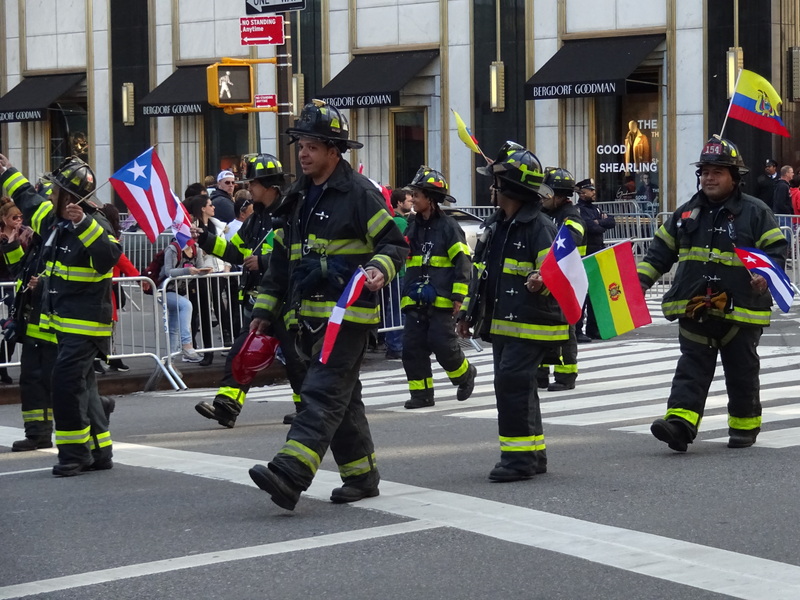 Like in almost all New York City parades, the New York Police Department, New York Fire Department, and various other law enforcement and government agencies marched in the Puerto Rican Day Parade. Often, these agencies’ employees have founded their own Hispanic or Latino cultural associations within their respective agencies. I particularly liked the vintage police cars and fire engine. 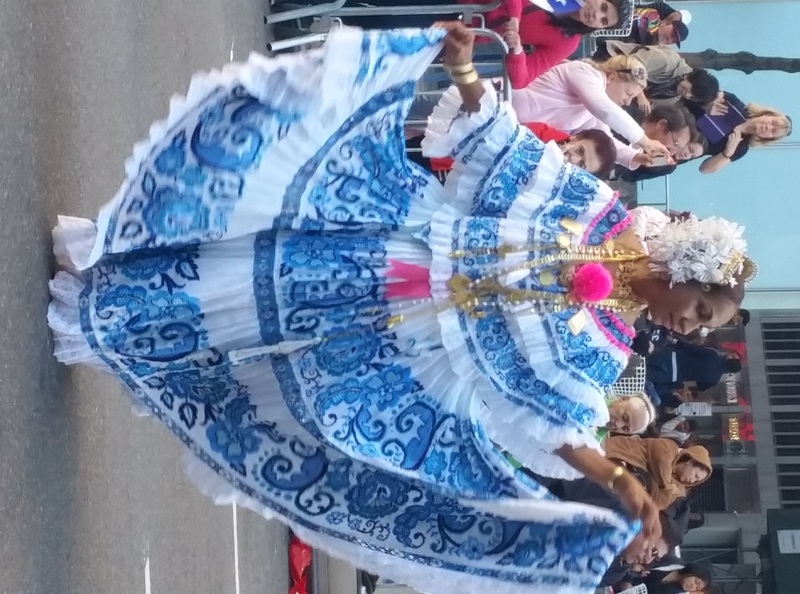 But the best parts of the parade were the elements of Puerto Rican culture. 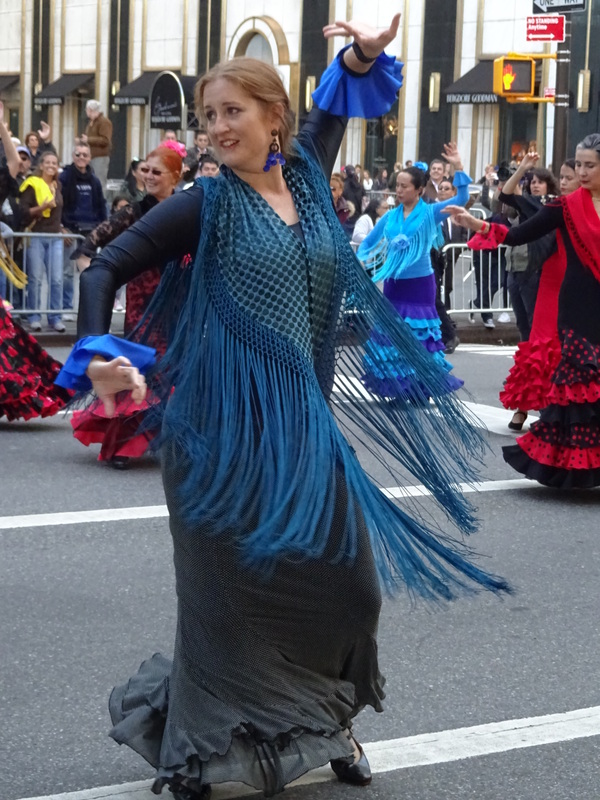 There were numerous dance groups and folk characters in costume. There were thousands of red, white, and blue Puerto Rican flags waving in the breeze. Most importantly, there were parade marchers and bystanders enjoying themselves and celebrating their heritage, and the energy was contagious! This parade has quite a few people marching in support of various political causes and environmental issues in Puerto Rico or in some way involving Puerto Rican people. One of my favorite photos from the parade was of this couple marching with others in opposition to an environmental concern. 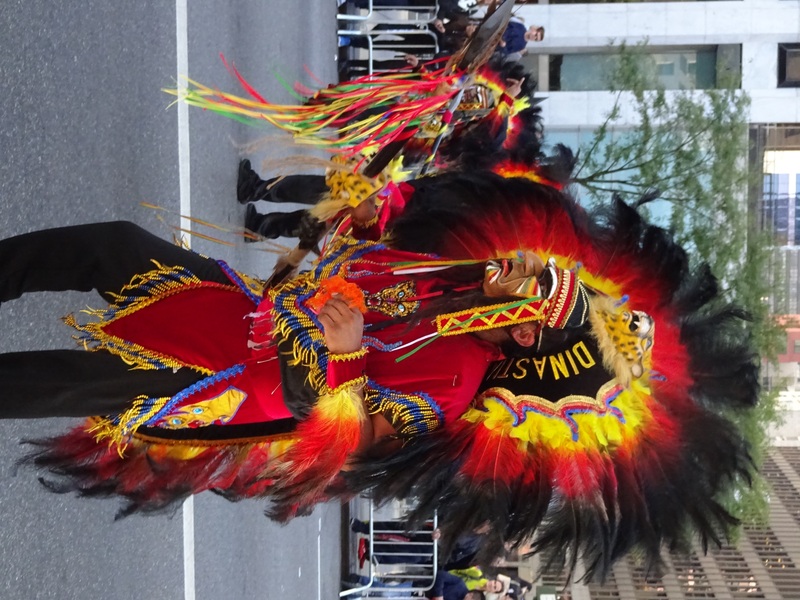 The parade travels north along Fifth Avenue in Manhattan, from 44th Street to 79th Street. Central Park stretches along the parade route starting at 59th Street, offering welcome shade for bystanders but some challenges for taking good photos at times. 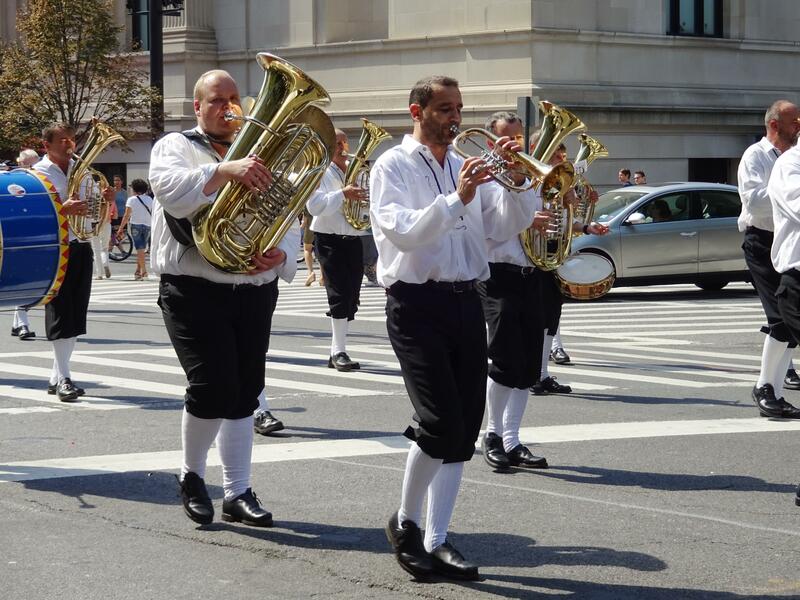 In addition to warmer weather, Spring in New York City signals an increase in the number of parades. 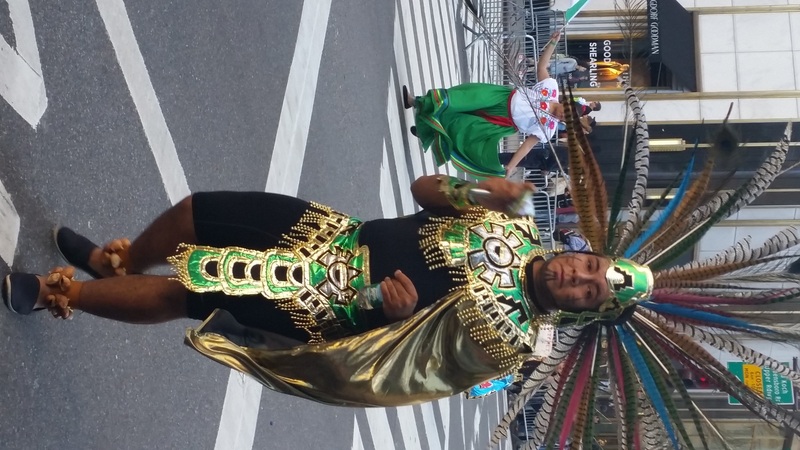 One reason why I love NYC parades is because they celebrate the diversity of our great city. 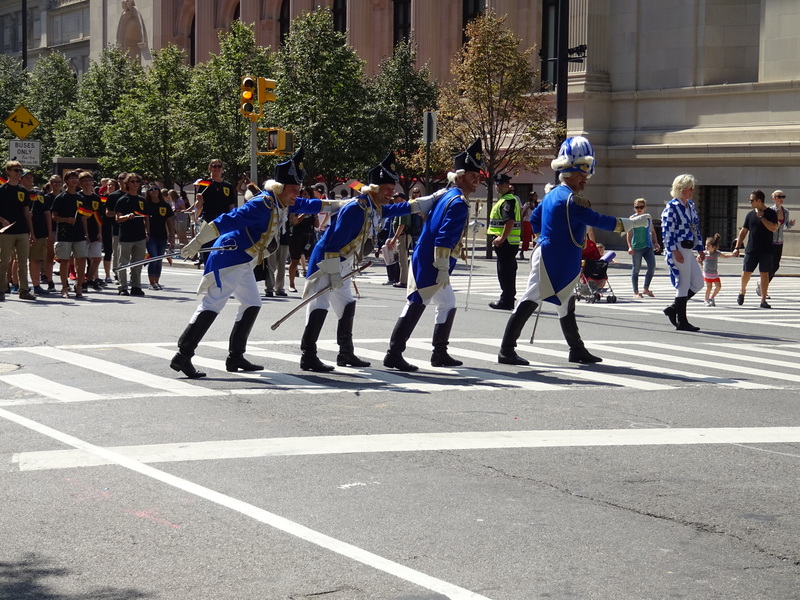 Most recently, the Greek Independence Day Parade marched its way up Fifth Avenue. The first Greek Independence Day Parade in New York City took place in 1938, and it has been held on Fifth Avenue since 1951. 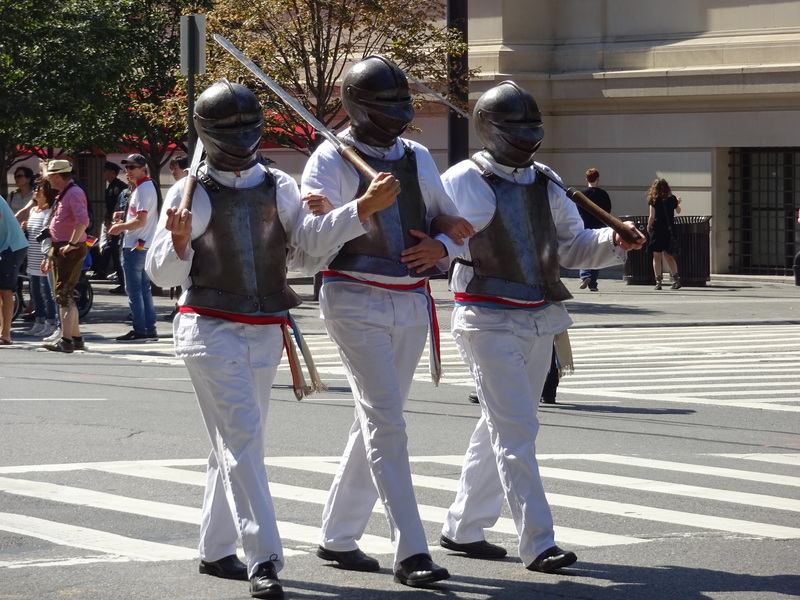 Greek Independence Day celebrates the Greeks’ independence from the Ottoman Empire on March 25, 1821, but New York City’s parade does not usually take place on that exact date. 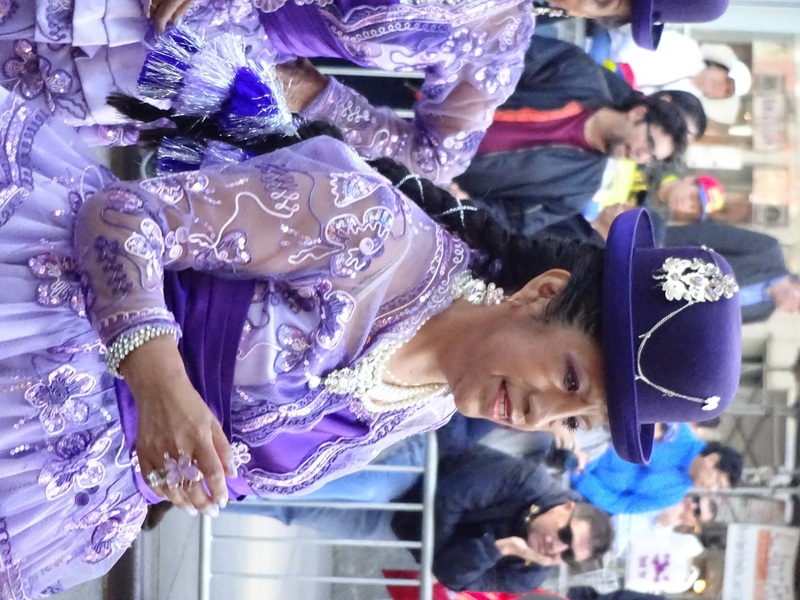 This year, the parade was held on Sunday, April 10. 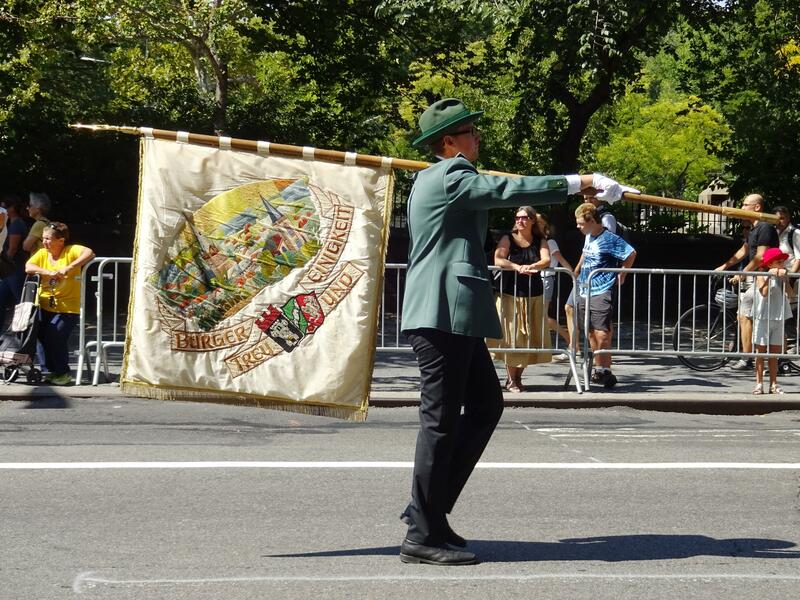 The parade’s main sponsor is the Federation of Hellenic Societies of Greater New York. 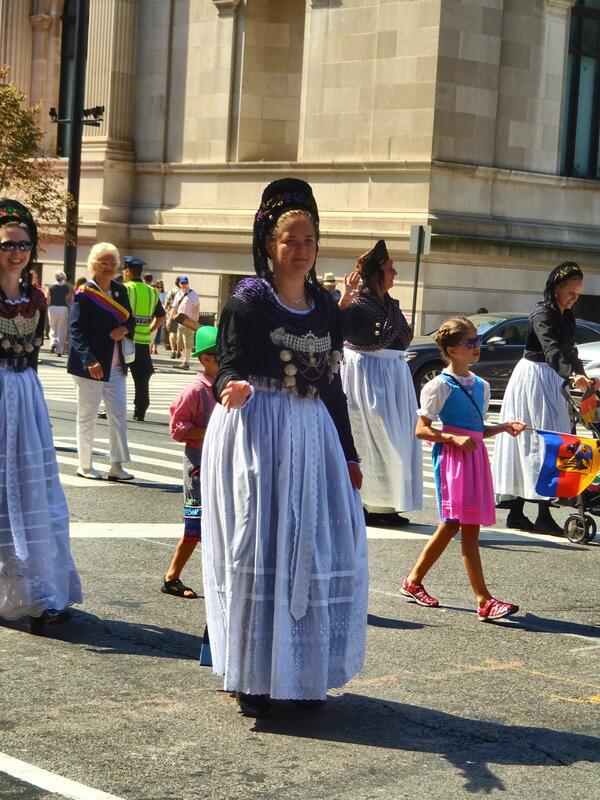 Like all New York City parades, some of the best parts of the Greek Independence Day Parade involve both adults and children marching in traditional dress. The parade also includes numerous floats with blue and white colors and various Greek themes. The Greek Independence Day Parade usually takes place in late March or early April each year. 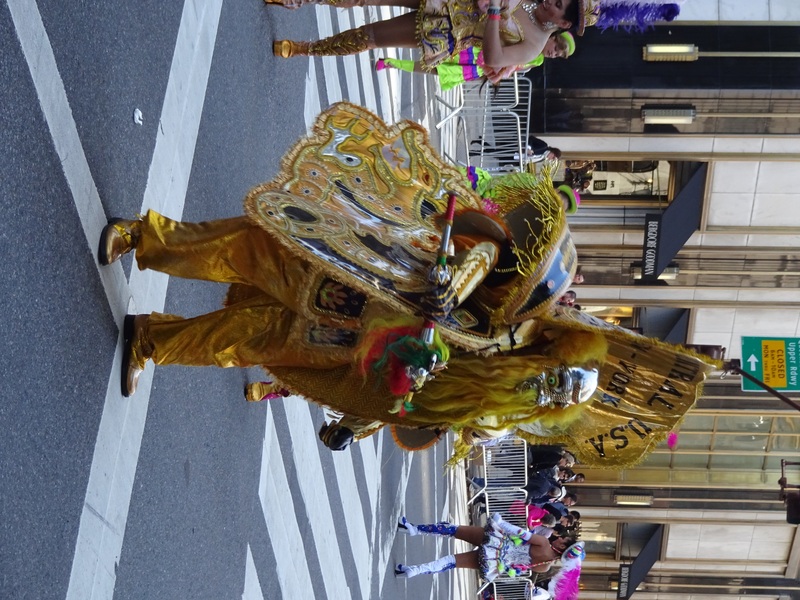 This year, it ran from 64th Street to 79th Street on Fifth Avenue. One of New York City’s most famous parades is the St. Patrick’s Day Parade, held in Manhattan on March 17 each year. 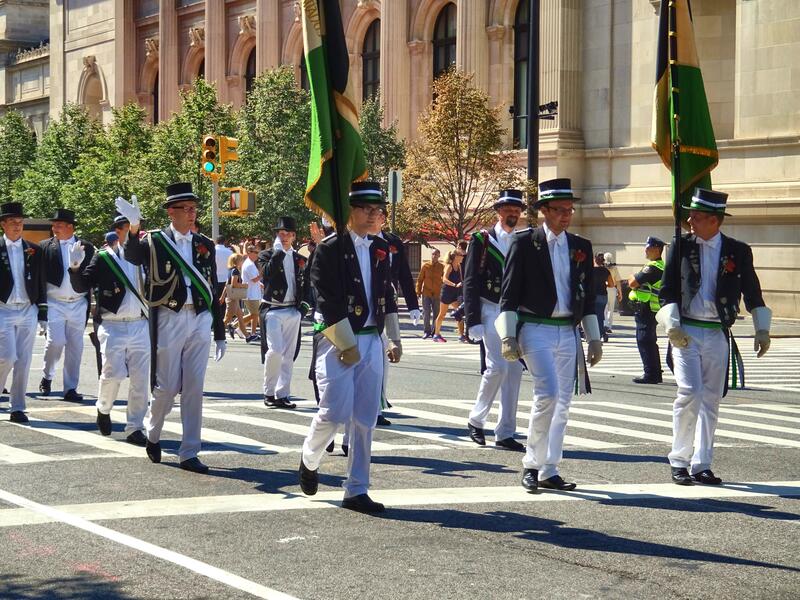 New York City’s St. Patrick’s Day Parade has a long history that stretches back to 1762. 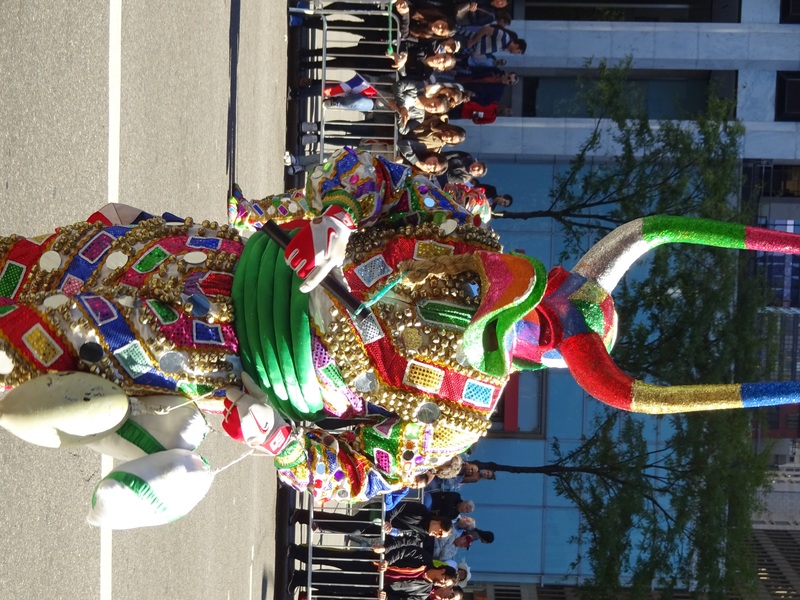 (I don’t think that there are any NYC parades with a longer tradition!) 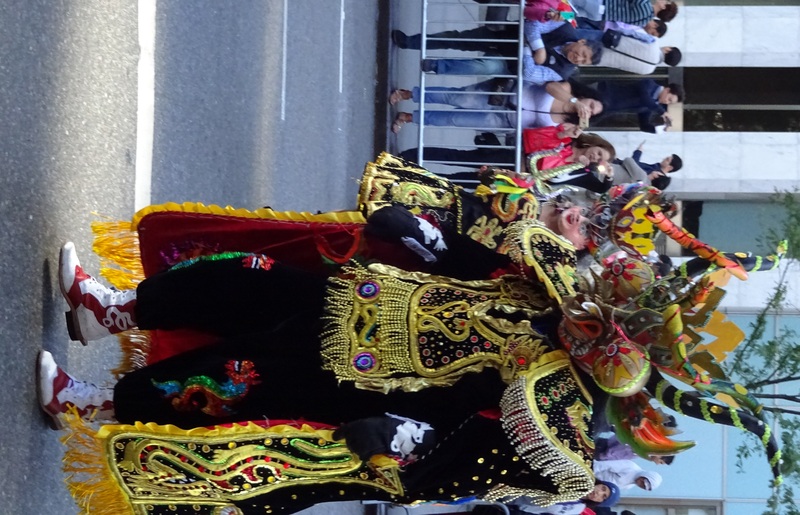 The parade has so many participants that it lasts approximately 5 hours, offering something for everyone to see. The parade participants march up Fifth Avenue from 44th Street to 79th Street, and the least crowded viewing is in the latter blocks. 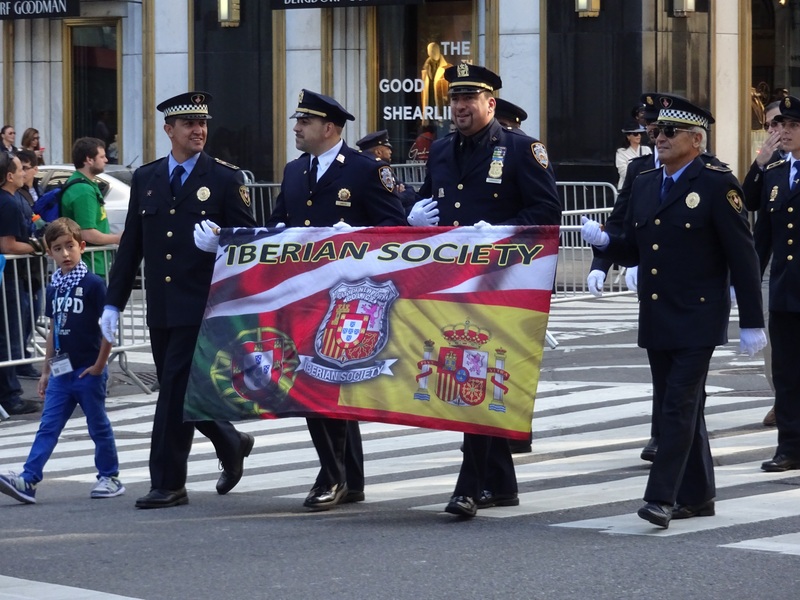 One of the key features of the parade is the many Pipe and Drum Corps, many sponsored by Irish societies such as the Emerald Society within New York City’s Police (NYPD) and Fire (FDNY) Departments, but also coming from other organizations. Here are a few of my favorites. First, the Pipes and Drums of FDNY’s Emerald Society. 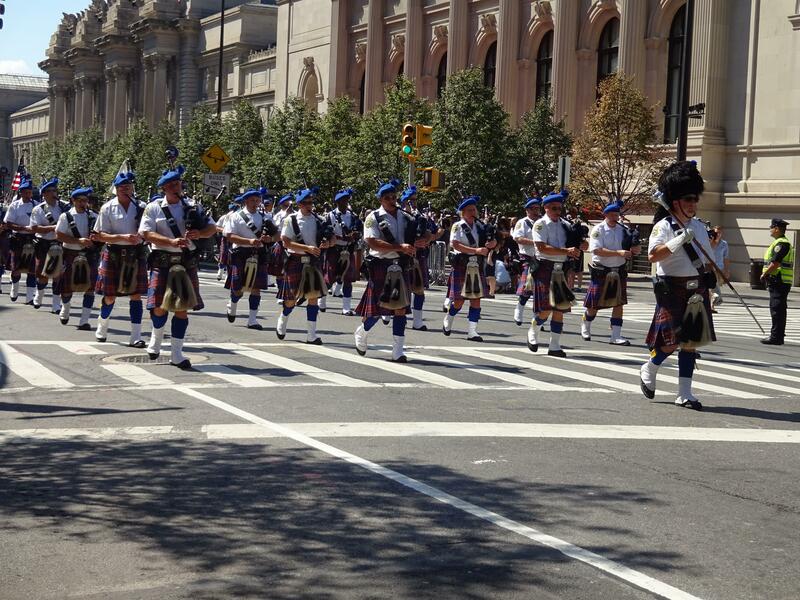 There was the NYPD Band, as well as the NYPD Emerald Society Pipes and Drums. The New York State Police were also well-represented. And here are the Pipes and Drums of the Ancient Order of Hibernians. There are also associations representing Irish immigrants and their Irish-American descendants, with many having roots going back to the nineteenth century. They are often led by beautiful banners like the ones shown here. 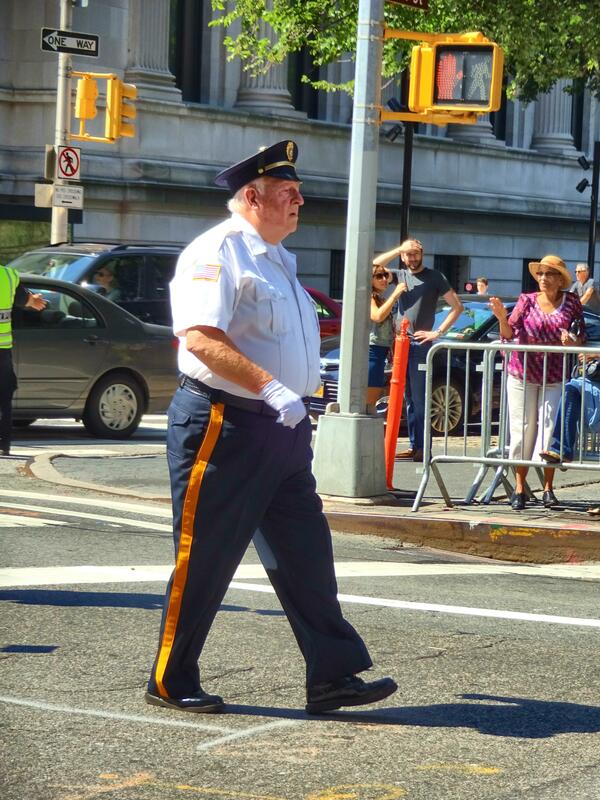 The U.S. Armed Services also send bands to perform in the parade, as well as honor guard units. Here is the U.S. Air Force, followed by the U.S. Navy. There was the U.S. Military Academy’s West Point Band. And even students from high school Jr. ROTC units. There were representatives from the U.S. Park Police. 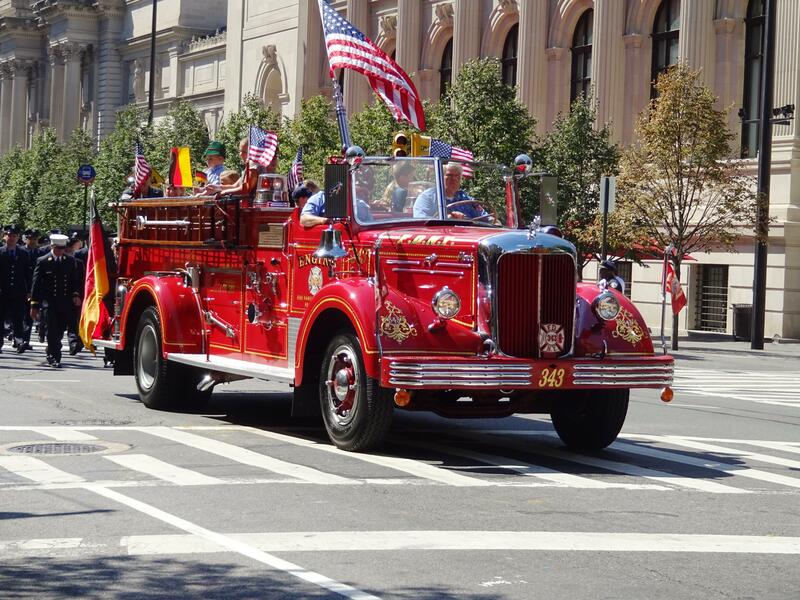 Finally, one of the most powerful parts of the parade was the FDNY 343. A total of 343 New York City firefighters each carry an American flag as they march in formation, memorializing the 343 firefighters who lost their lives in New York City on 9/11. 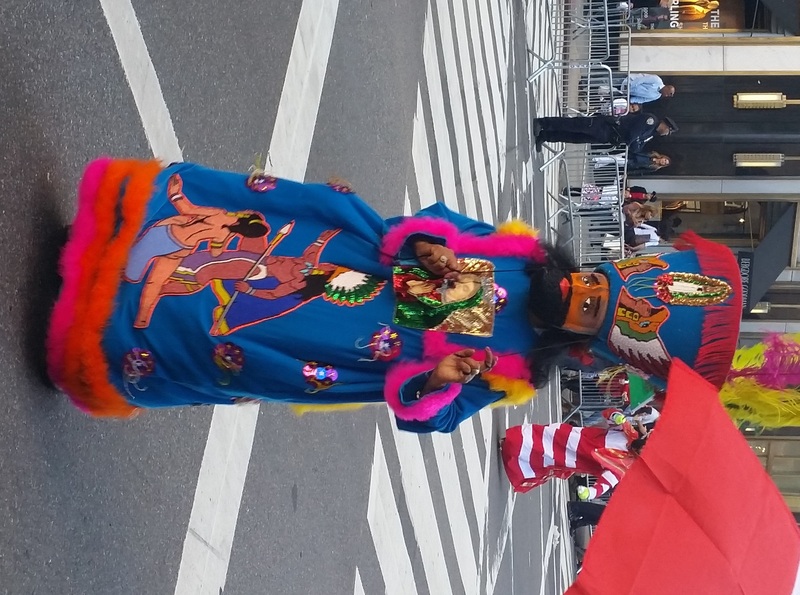 If you are in New York City for this or any of the other parades that New York City has to offer, I recommend that you attend – it’s an opportunity to celebrate the city’s diverse residents and traditions. 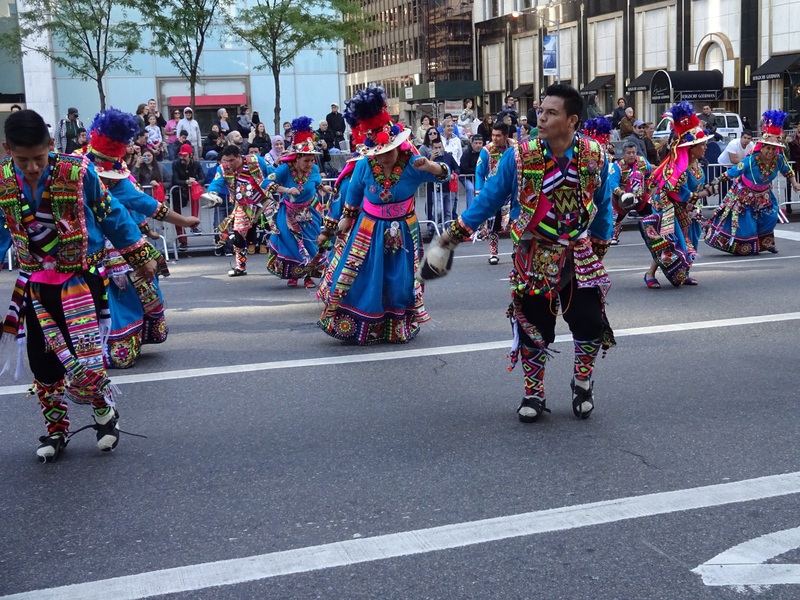 If you’re ever looking for something to do in New York City, it’s often possible to find a parade. 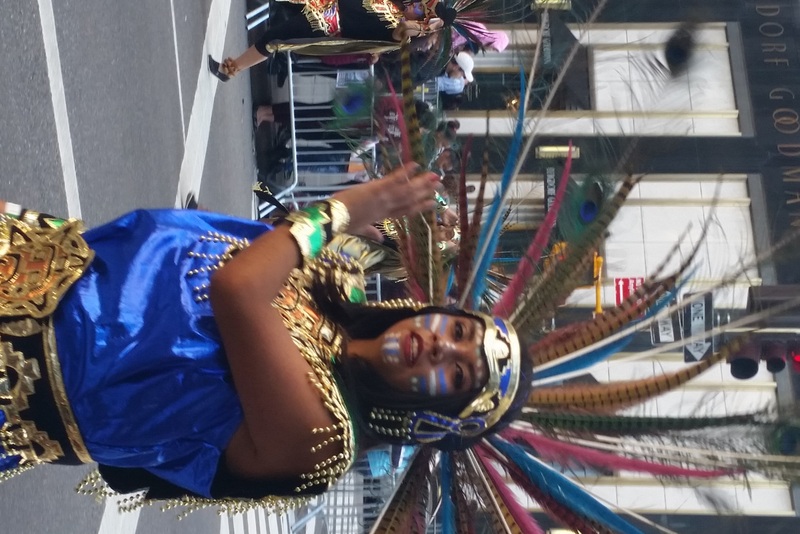 Our parades celebrate the diversity of our city. They’re great fun, as both participants and observers enjoy themselves tremendously. 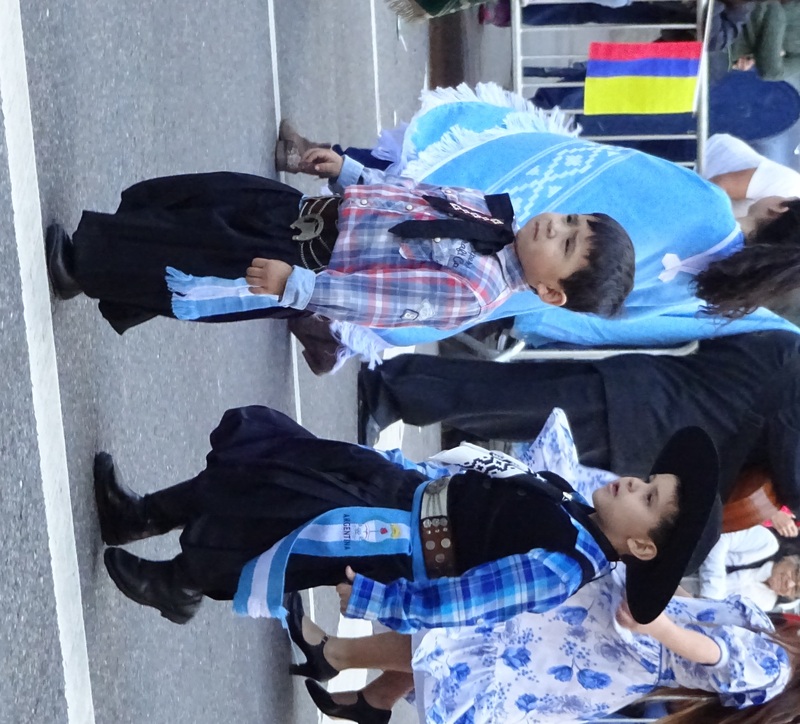 One of my favorite parades is the Hispanic Day Parade, which is held the Sunday before Columbus Day in October. 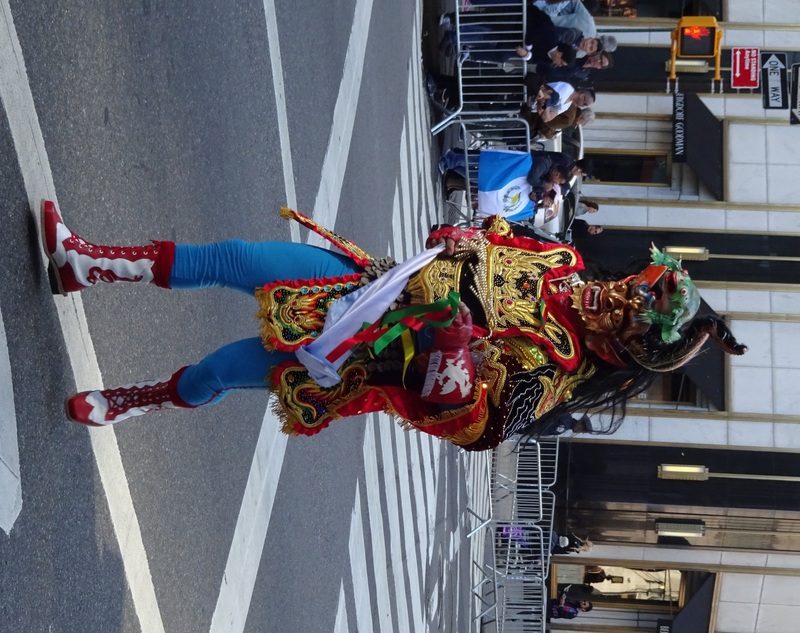 The parade travels up Fifth Avenue between 44th and 72 Streets. 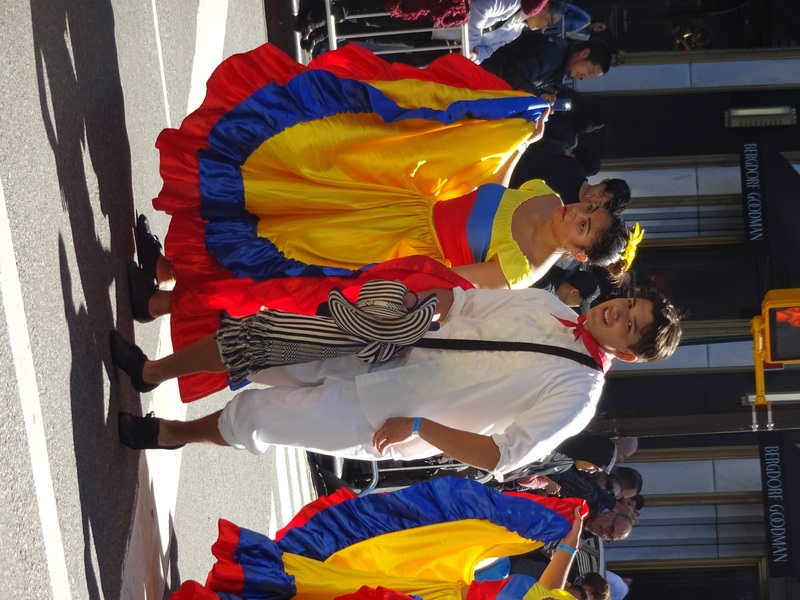 From media coverage of the parade, I learned that the Hispanic Day Parade includes about 10,000 participants and attracts approximately one million spectators each year. 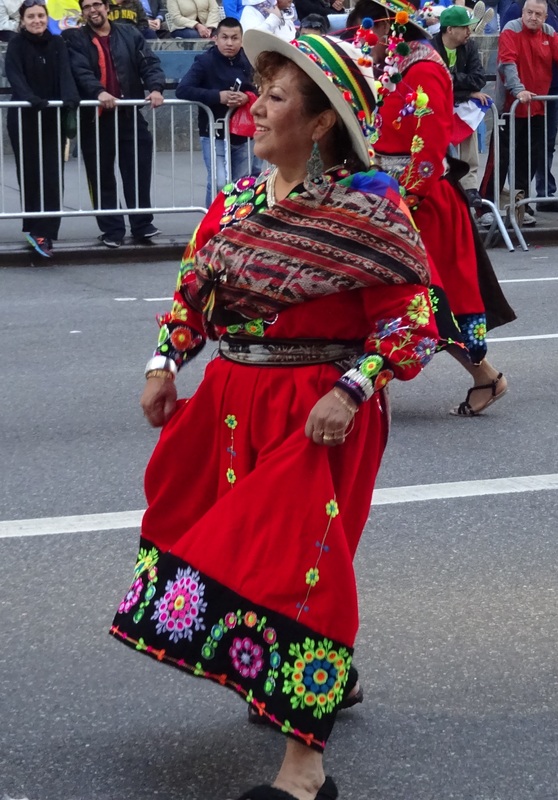 This parade is truly a feast for the senses–people marching in the parade wear vibrantly colored outfits and are consistently accompanied by festive music. 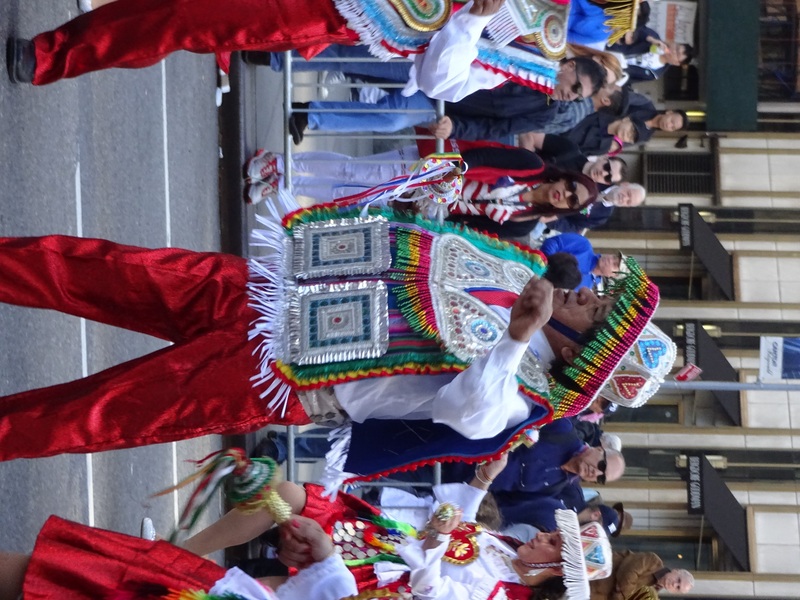 It’s not only the parade participants who dance along; even bystanders find themselves moving to the beat. 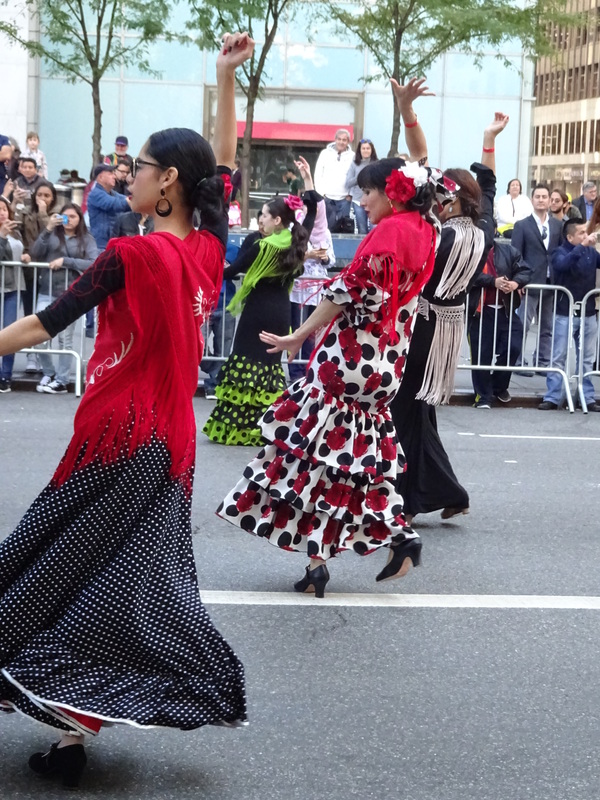 The parade represents cultural organizations in the city with ties to almost every Spanish-speaking country in the world. It reminded me of the Opening Ceremonies for the Olympics, with its pageantry and diversity. 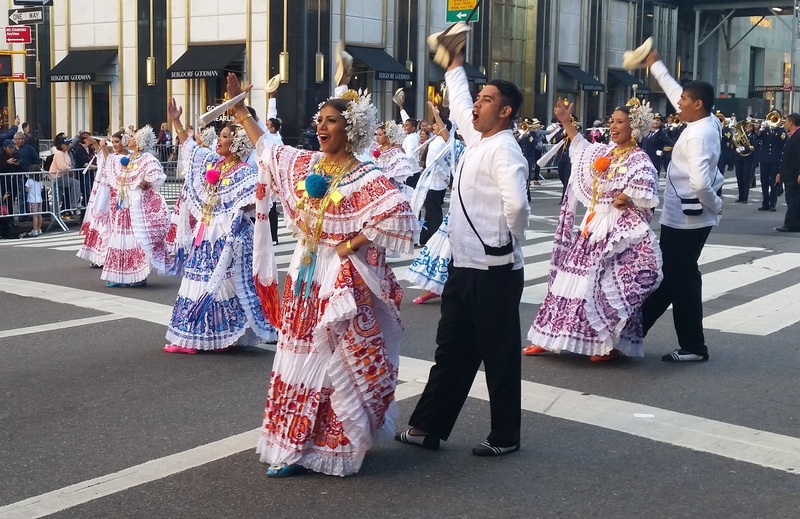 One of the things that makes this parade so spectacular is the incorporation of the folklore and cultural traditions of each country. Countless parade participants were dressed as characters representing those stories and traditions. And it wouldn’t be a parade without bagpipes–but this version has Hispanic roots. 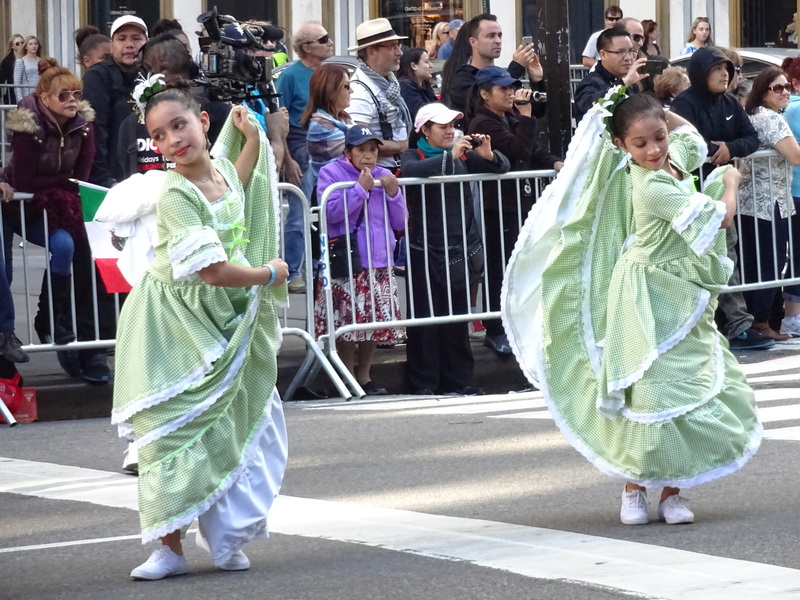 As a final note, the Hispanic Day Parade is a lengthy one, extending for approximately five hours. I recommend wearing comfortable shoes, but you’ll be surprised at how little you look at your watch–this is such an enjoyable parade that the time really flies! If you’ve been in New York City for any length of time, you’ve figured out that New Yorkers throw parades for pretty much anything. They’re always a lot of fun, and you never know what you will see when you attend. Last Saturday, I decided to head to the Metropolitan Museum of Art on the Upper East Side. 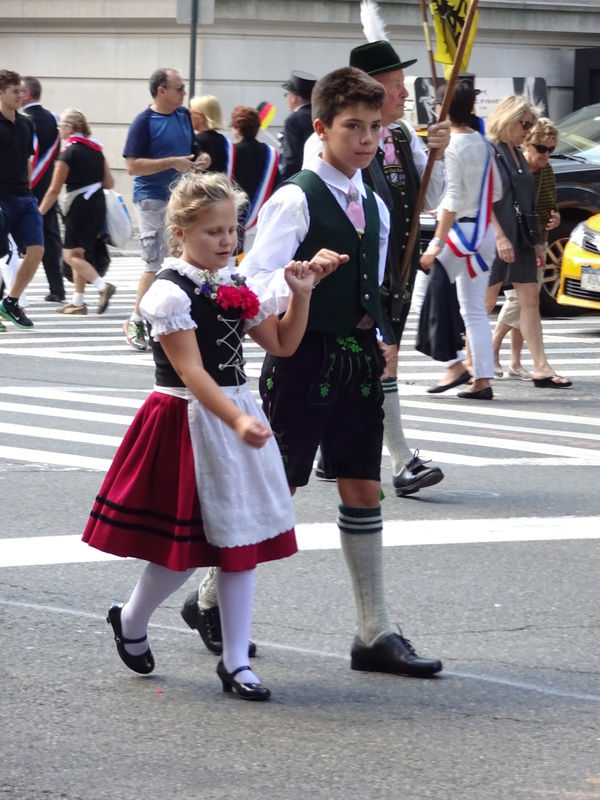 As I approached Fifth Avenue near the Met, I stumbled upon the annual German-American Steuben Parade. 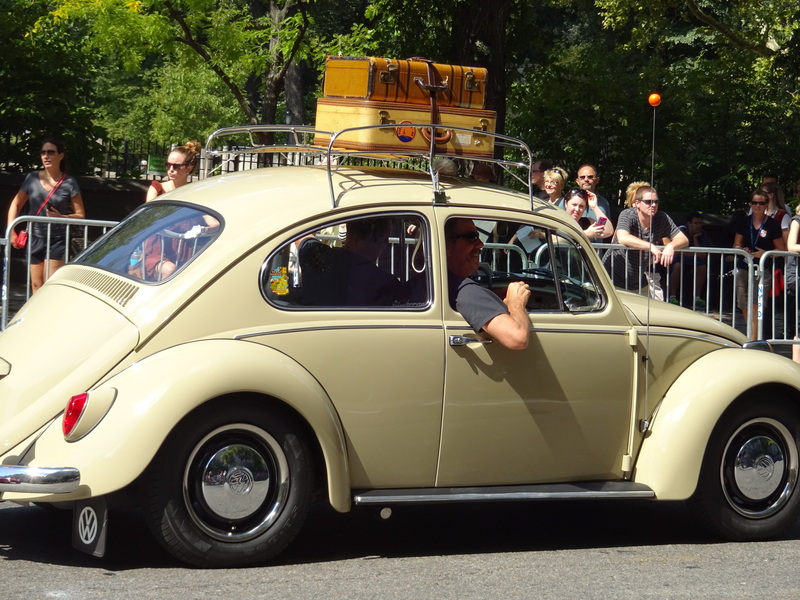 Somehow a German-American parade needs to have some representative Volkswagen beetles–here’s one from this parade. I particularly like the vintage suitcases on top. 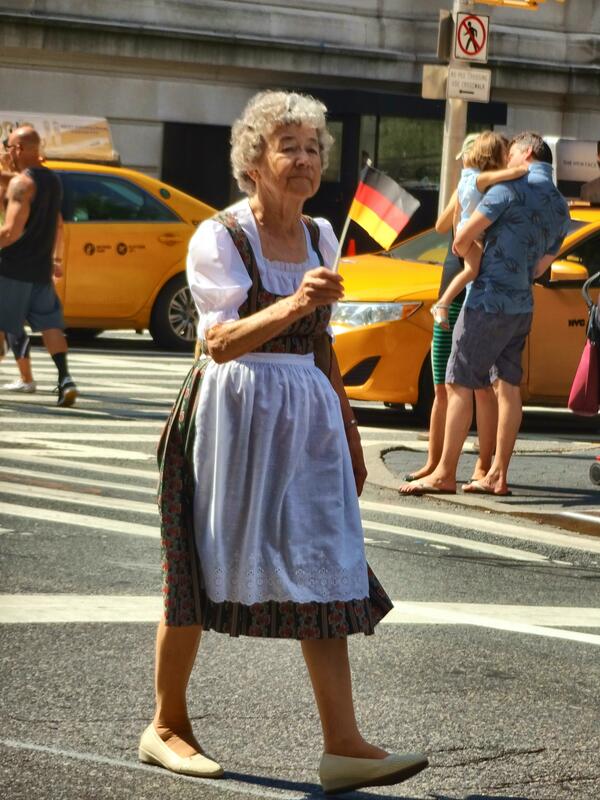 Finally, in the spirit of New York City, not everything in this parade was German. 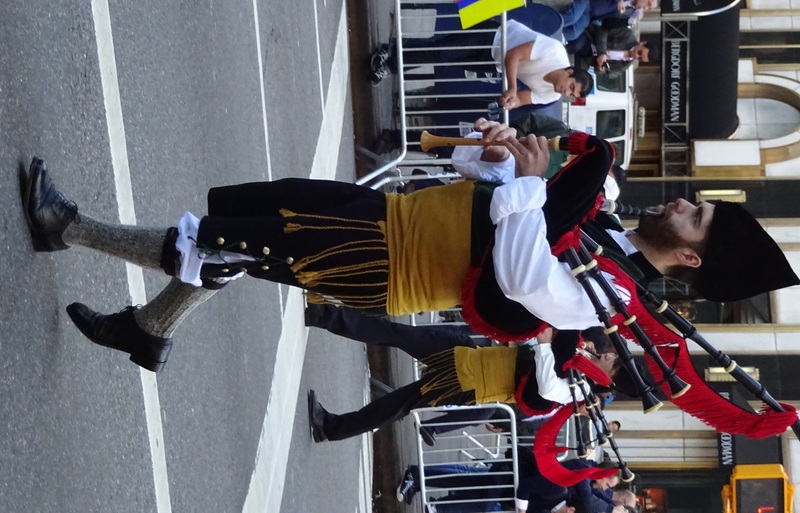 What would a NYC parade be without some bagpipers? Every parade has a background story, and I was curious about this one. 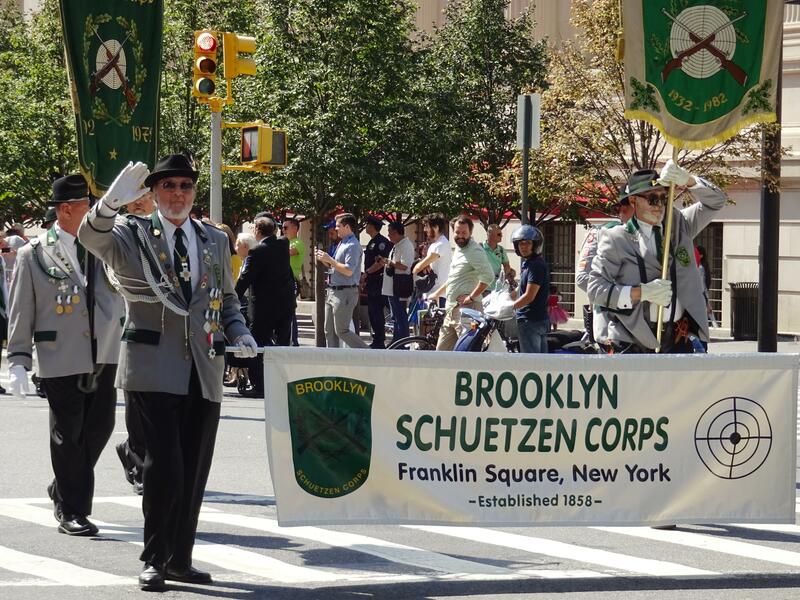 From my research, I’ve learned that the first German-American parade was held in Ridgewood, Queens, in 1956. 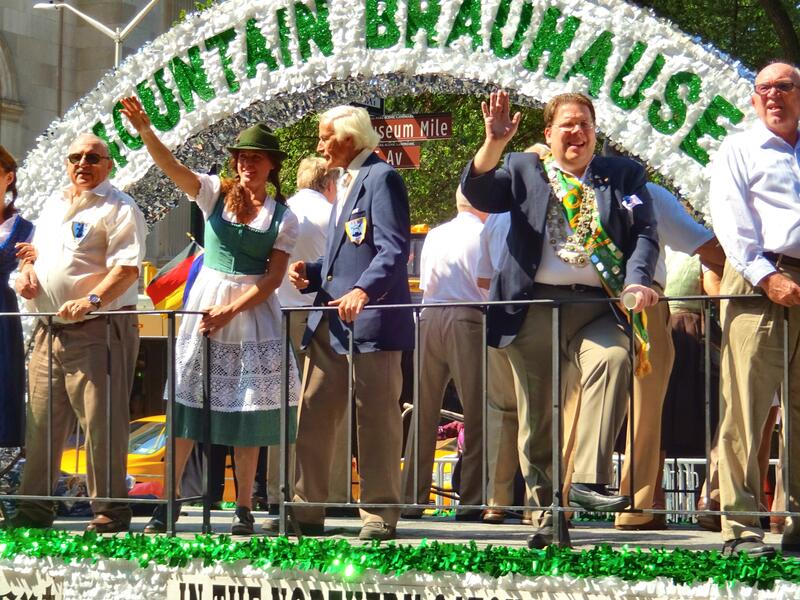 That parade was so successful that the following year the German-American Steuben Parade was organized in Manhattan, and it’s been held each year since. Wondering about the parade’s name? Friedrich Wilhelm von Steuben was a Prussian general who served with George Washington during the American Revolution and helped to train American troops to fight against the British. If you are interested in learning more about the parade, including next year’s dates, you should check out the parade organization’s website. I enjoyed the Steuben Parade so much that I’m inspired to find some other parades to watch. Maybe I will see you there! 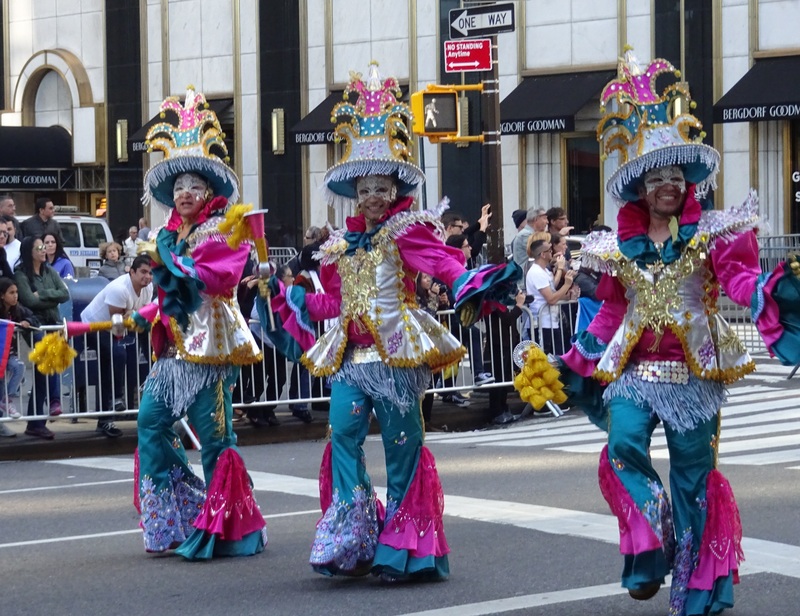 One place to find out about parades, as well as the road closures associated with them, is on the City of New York’s event website. 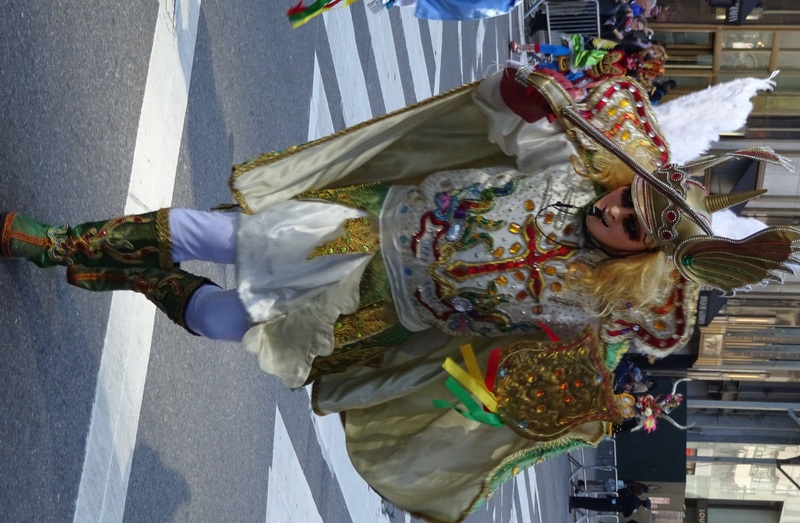 In addition, the New York City Department of Transportation website lists all road closures in the city each week, including weekends, and there is a specific part of the list for parades and festivals.